In this week’s DrinkDown… Jim Rutledge announces a new distillery, Lawson’s Finest has expansion news, Drake’s got a whiskey, Coravin gets colorful, eBay gets in on wine (with a little help from Drync), and our drink of the week is a delicious Nero D’ Avola from Berkeley, California. Jim Rutledge, former Master Distiller of Four Roses Bourbon, just announced his plans to come out of retirement to build his own distillery. The announcement comes only eight months after hanging up his hat at Four Roses. Apparently Jim was getting a little antsy being away from the stills. 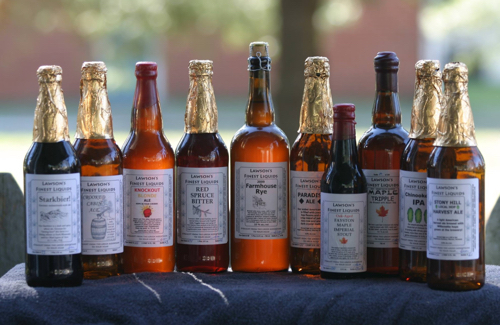 The new distillery will be based near Louisville, and will be named J. W. Rutledge Distillery. Jim and his elite team of Bourbon professionals will be using several high rye mashbills to produce “very high quality Kentucky Straight Bourbons,” along with a “wheated” Bourbon. Rutledge advised that: “to get the ball rolling, a 30-day crowd funding campaign will commence Monday May 2 using Indiegogo. Learn more here. Vermont-based Lawson’s Finest announced on their website this week that they’ll be expanding (and the beer geek’s rejoice). The company is working towards opening a new brewery, including a tasting room and retail sales. The expansion should see the company increase production capacity from a seven barrel system to a 30 barrel system. And they’ll be able to stretch out a bit too. The plan includes upgrading from their 280 square-foot building at their home in Warren, VT to a 7,500-square-foot warehouse in Waitsfield, which of course, means more beer. Yay more beer. In the meantime, Lawson’s will continue to produce their Sip of Sunshine IPA and Super Session at Two Roads Brewing in CT. Read more here. 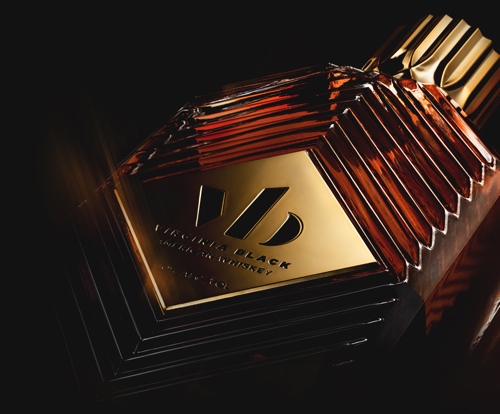 Drake (you know, the award-winning musician), in collaboration with the creator of DeLeón Tequila (you know, the tequila brand started by Sean “Diddy” Combs), announced the release of a new American whiskey called Virginia Black Decadent. The whiskey is a collection of two, three and four-year old Bourbons released at 40% in an extravagantly hip hopped-out bottle… which kind of looks like a perfume bottle. Although, if you’re looking for a little extra swagger in your Bourbon, Virginia Black may be just the juice you’re looking for. Just think of how much swag it will add to your whiskey shelf. Available in May in select markets. Brown-Forman announced this week that it is purchasing The BenRiach Distillery Company Limited for approximately £285 million. When completed, the purchase will bring three Single Malt Scotch Whisky brands into Brown-Forman’s growing whiskey portfolio: The GlenDronach, BenRiach, and Glenglassaugh. In B-F American whiskey news, the company recently announced the release of its first new bourbon brand in 20 years… called Coopers’ Craft. This new whiskey will be available in select markets this summer for about $30. 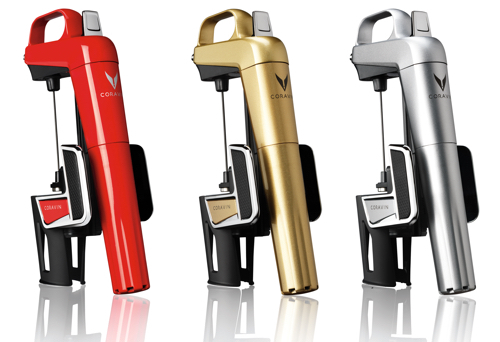 Coravin just announced the launch of the Coravin Model Two Elite, the newest addition to the company’s line of get-wine-from-the-bottle-without-removing-the-cork Wine Systems. The new Model Two Elite will be available in three colors–red, silver or gold, each with a chrome finish–and includes an updated needle that pours 20 percent faster than its predecessor. The Model Two Elite will be available on May 1st. Each color can be purchased for $349.95. Read more here. eBay officially introduced eBay Wine this week–a new destination which features the ability to browse collectible, rare and everyday wines. And, they’re doing it with help from Drync, the Boston-based mobile wine app known for personalized wine recommendations and mobile wine commerce. Aimee Cronin, Drync’s VP of Partnerships said on Forbes that “Drync is the integrator between wine retailers and eBay, automating the process of representing the retailers’ inventory on the eBay website and mobile app.” As of today, people can now discover more than 10,000 different wines on eBay. Read more here. 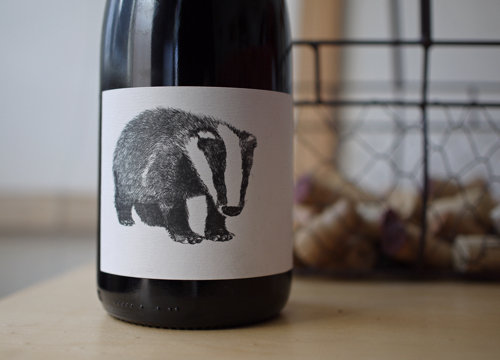 Chris Brockway started his urban winery in Berkeley, CA with the goal of making wines that are site-specific; using only organically- or biodynamically-grown grapes from less popular regions of California. The winery focuses on grape varieties that aren’t traditionally common to California–such as Carignan, Counoise, Valdiguie, Picpoul and Nero D’ Avola–and believes in a light winemaking hand. Their labels are absolutely stunning (not that it really matters, but they’re some of the best wine labels on the market today), and the wine is totally unique.